Zuhal Kakar remembers feeling sad when she couldn’t go outside to play with her friends. She lived in fear and kids rarely ventured outside. 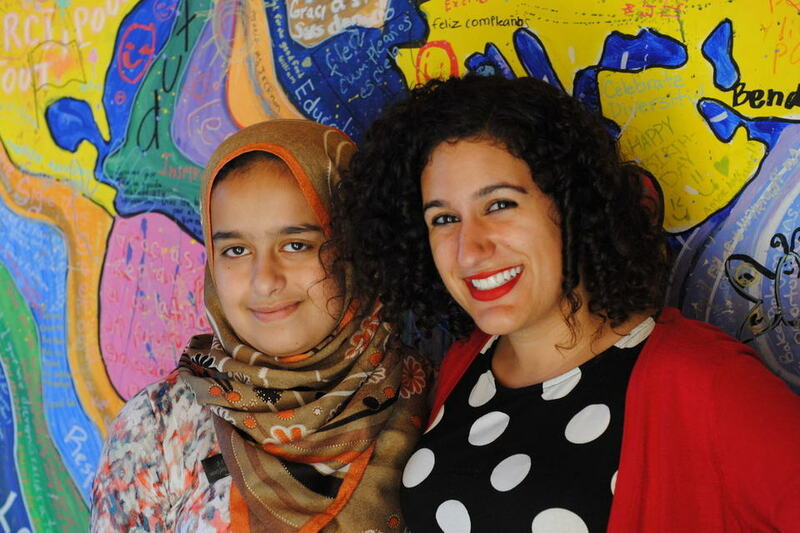 In 2014, Zuhal’s family fled the country in search of a more stable life in America. She felt anxious about leaving her friends and moving to a new place, but also excited about being able to attend school. She didn’t know much about Houston, only that she’d finally be able to play outside and get an education, a basic need for her and every child. Adjusting to life in the U.S. was difficult at first. Zuhal felt nervous because everything was new and different. Not knowing English made everything an even bigger challenge. Things improved when Zuhal enrolled at New Neighbor, an elementary school that specializes in helping refugee and immigrant children who have been in the U.S. for less than a year. The focus in the classroom is to bridge the language, literacy and skills gap that many students face when they first arrive. Despite the communication barriers, Zuhal felt happy to be in school learning and making new friends. She fondly recalls using workstations in Miss Behzadi’s class to learn about math, science, reading and writing. When she first started at New Neighbor, Zuhal struggled to write complete sentences. But she worked hard to improve her language skills and in less than two years, was writing and speaking English. Zuhal, now a 5th grader, is on track to graduate on time and dreams of helping people by becoming a doctor one day. Your generous gift helps children like Zuhal get an education that will provide a foundation for the rest of their lives. Thank you for believing in BakerRipley and for investing in the future of our neighbors.